Commercial grow light systems vary in their setups. In addition, a commercial grow room design can have available mounting structures for the indoor grow lights. 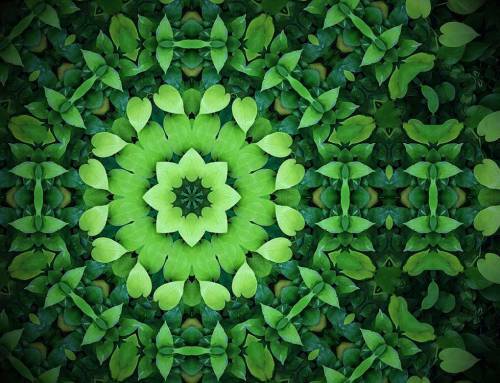 An example of this is in the photo for Botany Unlimited Design Systems. So for these grow equipment setups, each indoor grow light is mounted to a LightRail light mover. The light movers are supported on the upper bar of the hydro grow kit. Furthermore, this makes each grow light system brilliant in what it can do for any indoor growing equipment. It makes them an all in one indoor grow light system solution with the hydroponic lighting system altogether as one very smart indoor grow kit, each unit including a light rail system. Also, see how the indoor growing equipment is fired in close for maximum results. That’s grow lamp bravery. We can only achieve that kind of power when the indoor grow lights are moving on LightRail light movers. 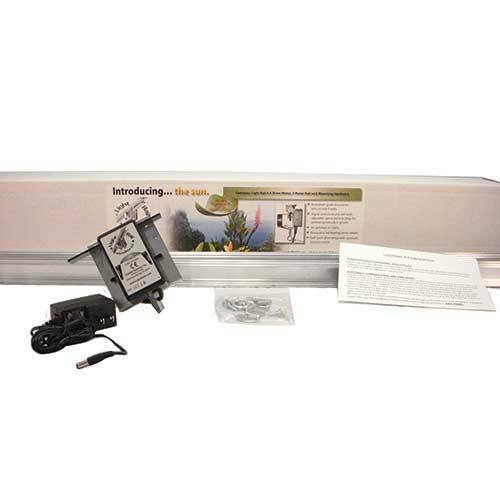 A grow light mover is absolutely how to use indoor grow lights. Otherwise, we would have grow equipment hot spots and grow lamp overkill. 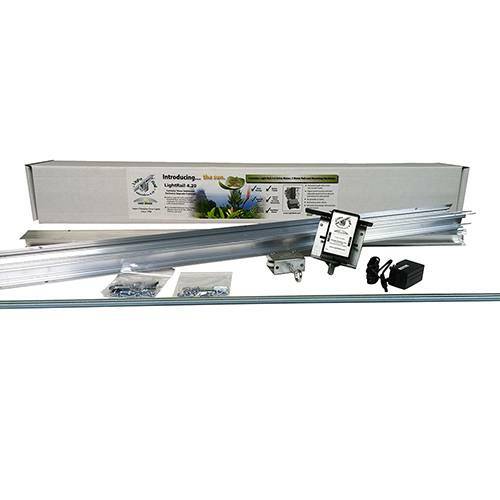 LightRail allows the hydroponic lighting to actually get into the plant canopy, and that’s because of this hydro grow kit indoor grow systems unique, dropped middle trough design. Because of that detail, it adds another level of hydro grow kit benefits and it equals one smart hydroponic lighting setup. This rail light grow equipment support system is super user-friendly and logical. These indoor grow kits result in incredible crop speed and with very high yield results. Commercial grow light systems together with light movers result in serious success with their hydro grow kit rail lights. As a result, these grow light systems brilliantly produce remarkable results. The grow light ppfd comparison chart explains best how this works. 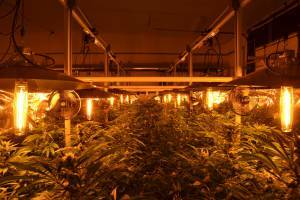 Some commercial grow room designs have ceiling power. These growers might want to have each indoor grow lamp to be moved slightly and on short Rails near those ceiling power supplies. That can be done using half Rails and there is a smart way to do this grow equipment maneuver very efficiently. 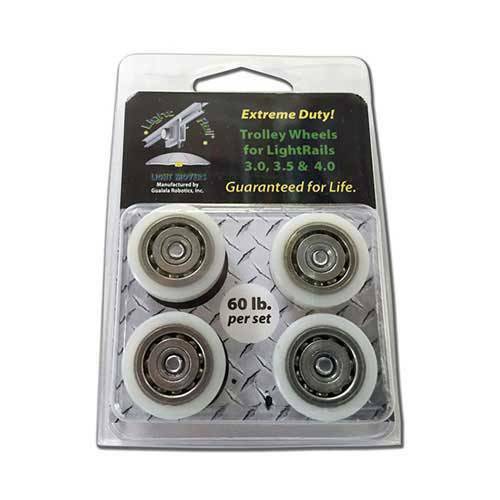 Each LightRail light mover 3.5 Kit, LightRail light mover 4.0 Kit or LightRail light mover 4.20 Kit will come with half Rails that slide together. 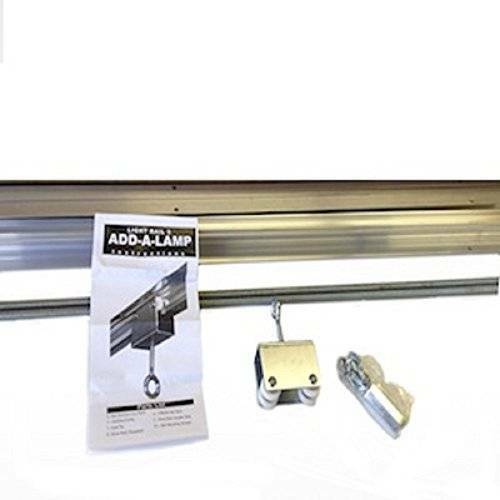 At any time, a grow lamp can be moved on a one meter (3’3”) half Rail. 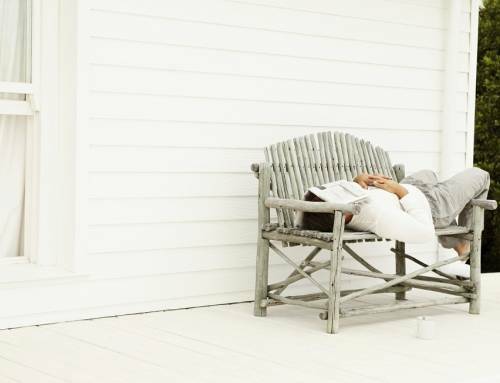 That rail light can be mounted up near the electrical, one per outlet. It’s a smart grow light system solution. Of course, once the grow lamps are moving, each as a rail light, we want to drop them as close as we can to the plant canopy with a rope ratchet method to get the best quality grow light system lighting to the plant surfaces. Here is a smart grow equipment idea as seen in these indoor grow kits. If we use just the half Rail, we can then use the extra Rail half that’s left over. By simply buying a LightRail light mover Motor to go with it, we have another light mover. More about Unistrut Rail indoor grow setups. 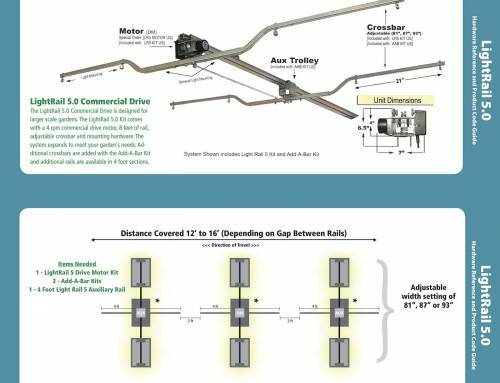 These Strut Channel compatible Rails can be set to be inline, 90 degrees or 45 degrees. 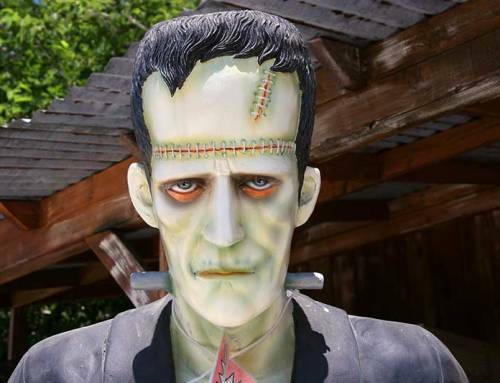 Or they can be set to any custom indoor grow kit setting in between. It’s just super versatile. A commercial grow light system can be found in all sizes of commercial grow room designs and setups. For the grow equipment warehouse setting, no matter the size, we can plan out the design to see what light mover indoor grow kit support might work best. The indoor grow light rail system choices are out there and each is brilliant in its own way. 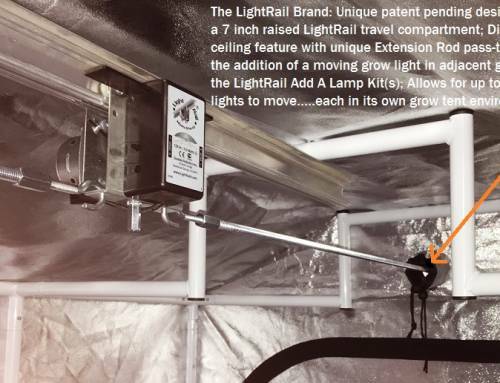 No matter the indoor grow light system; this is how to use grow lights: LightRail light movers will move any grow lamp and all grow lamps should move.